While many breakthroughs were achieved in 2017, in this annual report, we highlight the year’s pioneering innovations in single cell science. BRI researchers are renowned for isolating and studying the cells of the immune system to understand how they cause a disease and how they keep a person healthy. Their research can be applied to all autoimmune diseases and allergies. Looking at individual cells can help scientists pinpoint the cell that is causing destruction, understand how it is working to cause damage, evaluate which therapies can stop the damage and determine the best medication for an individual patient. In 2017, BRI combined its past breakthrough techniques with emerging technology to learn even more about these cells. Researchers used a technology developed 15 years ago by BRI to capture the immune cells of interest. A team of researchers led by Principal Investigator William Kwok, PhD, engineered a spider-like synthetic molecular biomarker. 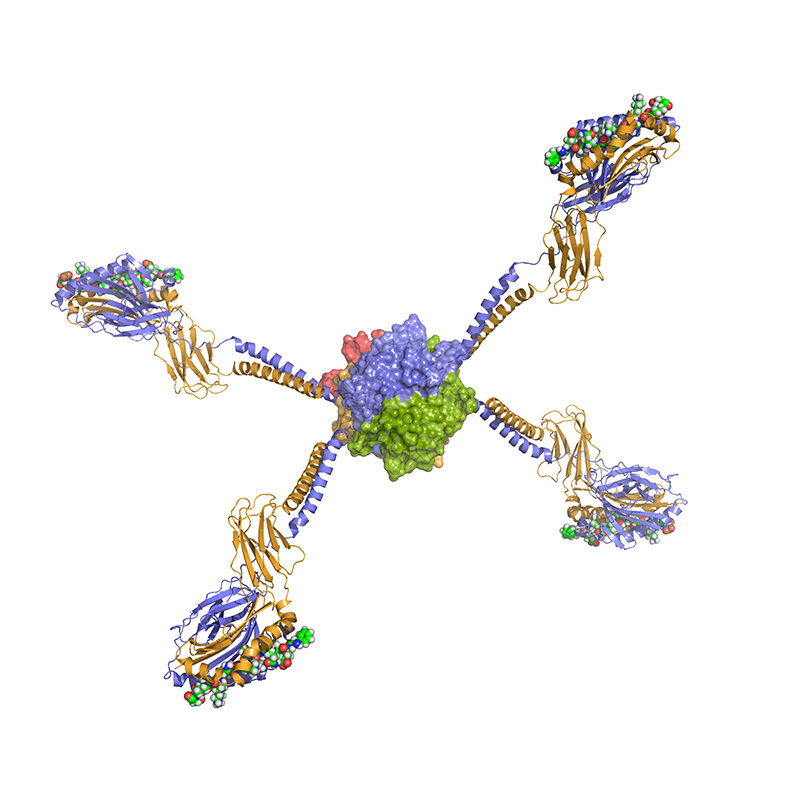 This “tetramer” with four flexible arms can seek out and latch onto specific targets in the blood. This is important as there are 30-40 trillion cells in the adult human body, 600 billion of which are immune cells, a mere 1.5 percent of cells in the body. Scientists narrowed their search to T cells, which are important cells in the autoimmune response. Researchers learned there are “good” T cells that fight off the development of autoimmune disorders, and there are “bad” T cells that cause damage. For every 1 million T cells in the blood, 1-to-100 bad cells are hiding among them. Tetramers can isolate the bad cells for researchers. BRI created tetramers to detect and measure specific immune cells in blood samples. Tetramers are revolutionary, allowing scientists to detect and measure specific immune cells in blood samples. But scientists wanted to go below the surface of the cells to better characterize and study the critical cells. BRI researchers are one of the first groups to combine identification of the bad T cells with an analysis of all the genes that are active in each cell.